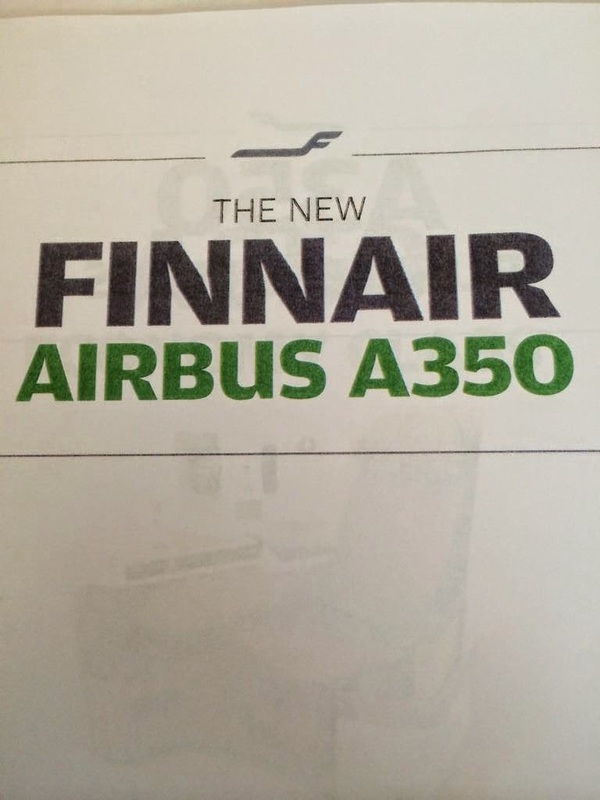 A350 XWB News: Finnair Business Class in A350. Finnair Business Class in A350. Finnair's A350 XWB will seat 297 passengers in a 2-class configuration, however it is the Business Class cabin which will get most attention. For the Finnair A350 business class the airline will fit 46 Zodiac Cirrus seats. 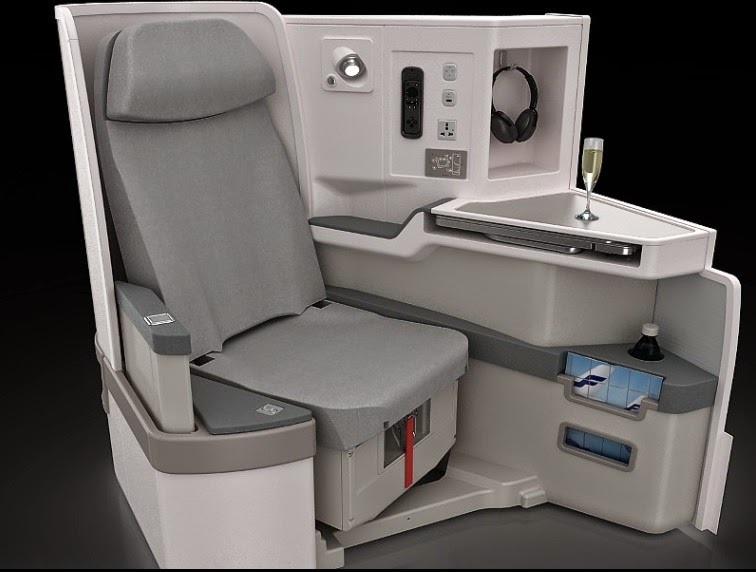 If it looks familiar, it is: it is the much loved business class seat initially flown by Cathay Pacific, and now adopted by American Airlines and Air France, however Finnair have chosen the newly up-rated third version of the seat. All the Finnair Business Class seats will have direct aisle access, which is now regarded as must in the premium cabins. 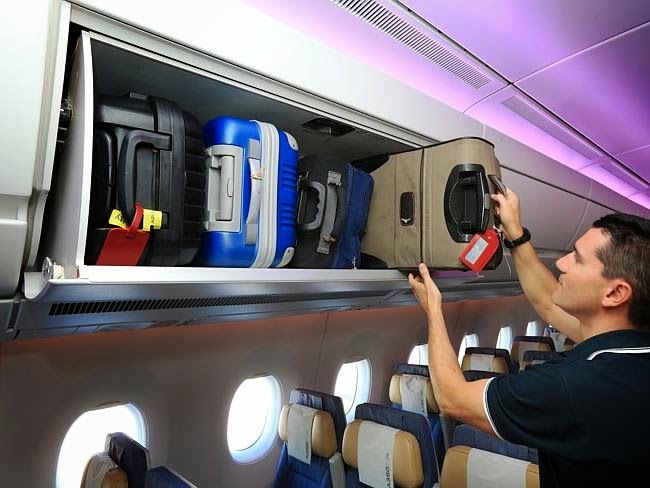 The seat comes riddled with cubby holes for keeping tablets, books, water bottles and headphones, as well as your shoes. There are also two tables: again, regarded as vital with business travellers wanting to both work and eat. There is a large fold out meal table, and a smaller cocktail side table on which you can keep a tablet. There is a fairly standard 16 inch touchscreen TV screen with AVOD, and USB plus mains (universal including UK) power sockets. 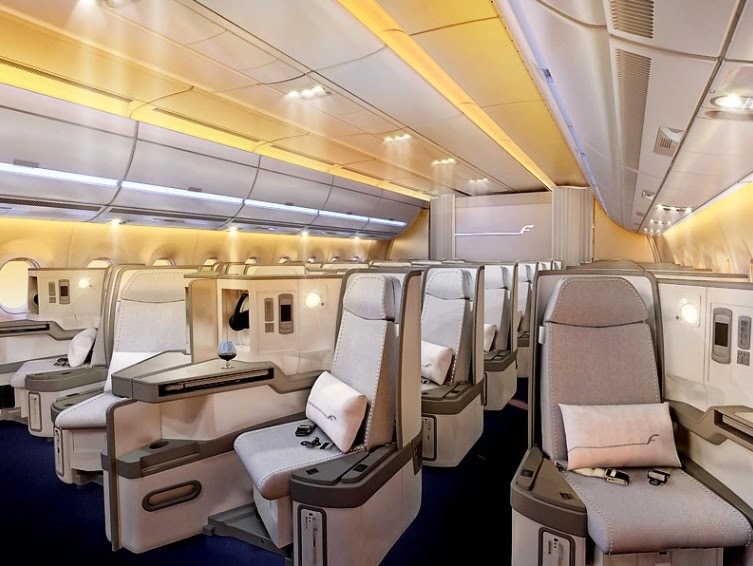 There will be 2 business class cabins, both with seats in a 1-2-1 layout. The front cabin has 8 rows of business class seats, while the rear business class cabin has just 3. However, this 'mini' cabin can also be converted to Finnair's Premium Economy class, called Economy Comfort. No orders in 1st Quarter of 2015 for A350 XWB. Qatar's 3rd A350 MSN9 first flight. 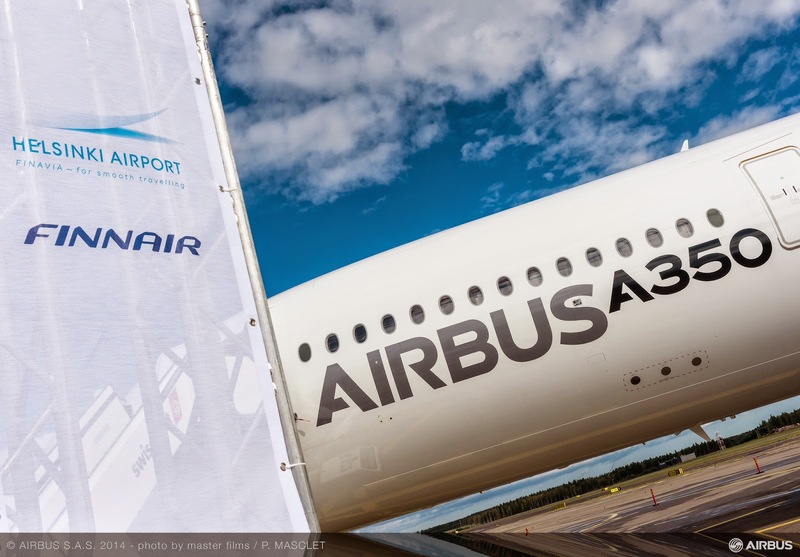 Airline 1 concept welcomed by A350 customers. Emirates could order 50-70 A350s or 787s. FAA starts A350 ETOPS certification from 180 min.